The boys were so thrilled to go to Hong Kong. During the trip they got to try out all the various modes of transportation that is available. It was a nice change from traveling in the car. 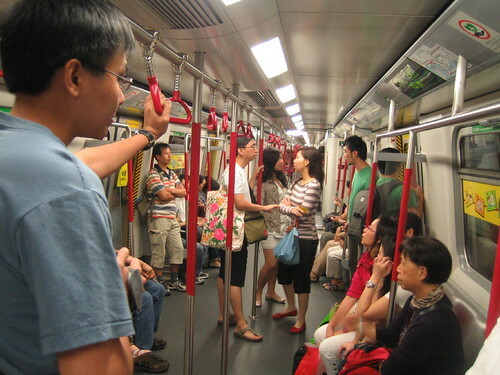 We also traveled on the MTR but didn’t really get to take a picture on it. We also took the public bus and taxi. 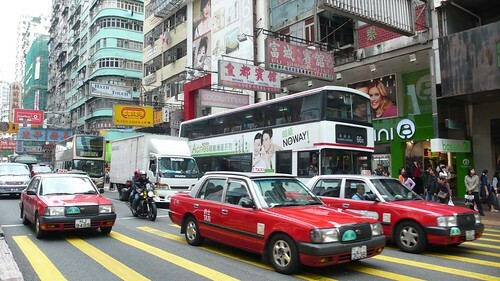 The public bus was our main mode of transport around Hong Kong to get from where we were staying to the shopping areas. How do you normally travel around? Looks like the boys were enjoying the upper deck. In the states, I usually travel by car except for long trips. . . then I fly ( and pray)! I’ve personally haven’t tried bike before but it would be fun. We normally take the car here as it’s difficult bringing all the kids out alone here in Singapore. When I travel nowadays, it is by car. What a wonderful array of transporatation! My son would love each of them. Your boys are so good-looking! They look like they are having so much fun! I know they would love one way that I travel–by golf cart! All kids want to drive a golf cart!! My boys have yet to be driven on /drive a golf cart. I’m sure they would enjoy it. We travel around by car. I know. Fun, right? I’d rather go by train! Terrific Transportation! How fun for your boys to be able to experience all those modes of transportation! I know that I would love to do that too :o) What a fun question too…hm…When I was young and we were stationed in the Philippines, I was able to ride a “Jeepney”, a motorized tricycle…All of us have ridden on subways, metro lines, double decker buses, horse and buggy, golf carts :o), bicycles, buses, motorcycles, boats, cars, boats, planes… That would have been neat to have a photo riding each of those. Thank you so much for visiting and for your kind comment of our baby photos and the art that I do. the kids look like they’re having loads of fun. I drive a car to work, 10 minutes away. I don’t usually travel too far from home! Hong Kong is absolutely my favorite place on earth for public transport. Whenever I had guests there, I’d be sure to take them on ALL of these. You forgot my favorite, though: the Star Ferry! In Manila I get around mostly by car. We didn’t get around to try the star ferry this time. We took the boys on it a few years back. Yup..it was really fun. The last ferry we took was in Penang this June where the whole car could go aboard together with the passengers inside. The kids really enjoyed that. Your boys are so adorable. And does anything endear itself more to a little boys heart then things with wheels? This whole post was terrific.